from the blue chair: It made my day! Last night I was once again on Flickr. I love that place! Under "Recent Activity" I noticed that Rita from Red Pepper Quilts wanted to add my Hope Valley quilt to her Flickr group! 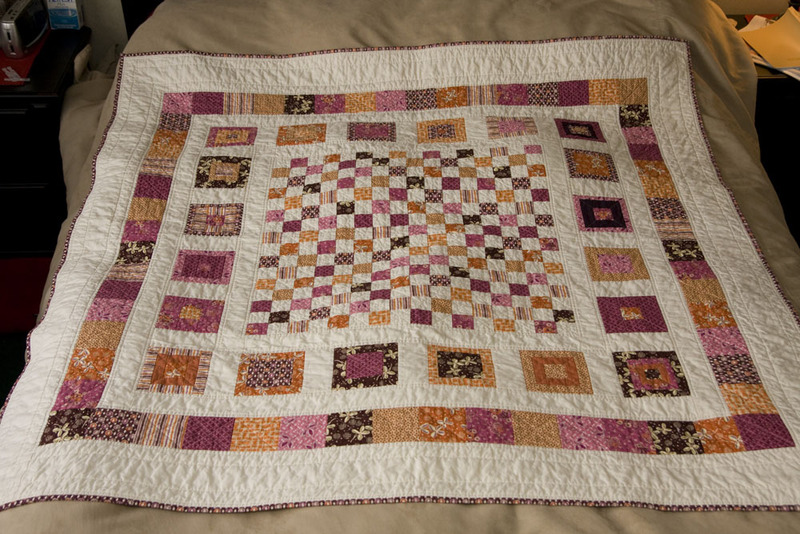 My quilt design was heavily influenced from a quilt she made a while back. I pretty much love just about everything she does. She is one of my quilting idols. I felt like the shy girl in high school, and the cheer leader was talking to me! Then I noticed she actually put a comment on my blog post! Then she commented on Flickr as well. I had to read it to my husband, I was so excited. This definitely makes me a quilt nerd, but it totally made my night. You have every right to be proud! It is a gorgeous quilt! I'm the same way! I had a quilting idol comment on my blog and told my husband excitedly - he didn't quite understand my joy. Perhaps I should have written a blog post about it instead ;). It's a beautiful quilt and deserves all the praise it gets. ha ha I know what you mean! It's starting to look like a map!